колодца первого". Основной докладчик - я. Сброшу в ваши головы свое ночное... Ц. К.
Joseph Brodsky's "Self-Portrait in Villa Borghese" from the collection of the Beinecke Rare Book and Manuscript Library, Yale University. Washington — Among the most cherished possessions of Solomon Volkov, author of the book Conversations with Joseph Brodsky, are drawings by the Russian-American poet and Nobel laureate, including a self-portrait and sketches of Volkov and his wife. “He was a gifted draftsman who could do very good likenesses of people with a very neoclassical lightness of touch and line,” said Volkov. But Brodsky, who died in 1996, was doing something more with his artwork, however casual and quick, Volkov said. He was following in the tradition of the great Russian national poet Alexander Pushkin, who produced hundreds of drawings and sketches during his lifetime. In celebration of the 70th anniversary of Brodsky’s birth, the Russian National Library in St. Petersburg opened an exhibition of his drawings in December 2010, in cooperation with the U.S. Consulate General, and with financial help from the U.S.-Russia Bilateral Presidential Commission. The exhibition, like Brodsky’s poetry, reflects his dual identities as a Russian-born poet who became an American citizen. On the Russian side, the drawings and other materials came from the National Library and the Anna Akhmatova Museum in St. Petersburg, together with artwork from the private collections of Brodsky’s friends and colleagues, according to news accounts. From the United States, where Brodsky was appointed American poet laureate in 1991, Yale University’s Beinecke Rare Book and Manuscript Library provided copies of 40 drawings from its own Brodsky archives. In their remarks and interviews during the opening, officials of the Russian National Library, along with U.S. Consul General Sheila Gwaltney, described the poet as one of the many points connecting American and Russian cultures. The exhibition opening featured excerpts from the film A Room and a Half by Russian director Andrei Khrzhanovsky, which is based on Brodsky’s autobiographical essay of the same title, and from Brodsky’s play Marble. Brodsky himself appeared in a video recording reading his poetry. In Volkov’s view, Brodsky was being compared to Pushkin by some of his admirers while still a young — and very controversial — poet in what was then Leningrad. Joseph Brodsky's "Seaside Sailor with Lyre and Bluebird" from the collection of the Beinecke Rare Book and Manuscript Library, Yale University. “Pushkin was a very gifted draftsman whose favorite subject was self-portraits,” said Volkov, speaking from his home in New York City. “Brodsky was quite self-consciously following that tradition.” Brodsky also liked to draw cats, which he treated as kindred spirits and considered another type of self-portrait, Volkov commented. Today, Brodsky is probably the most studied Russian poet of the 20th century, and many academic studies make the comparison to Pushkin, according to Volkov. The exhibition of drawings and photographs by the Russian National Library is hardly the only celebration of Brodsky’s life and work that has taken place in recent years. His admirers in St. Petersburg, for example, are working to establish a Brodsky museum in the apartment where he lived until he was forced into exile in 1972. Among the recent books about him are The Venice of Joseph Brodsky, by St. Petersburg critic Mikhail Milchik, and Knight and Death: On the Fate of Joseph Brodsky, by Yakov Gordin. Both authors helped mount the exhibition of Brodsky’s drawings. In October 2010, Mount Holyoke College in Massachusetts, where Brodsky taught for many years, held a symposium “to celebrate Brodsky’s contributions to literature and the impact he made on his students and colleagues.” The speakers included poets and scholars from universities such as Amherst, Yale and Harvard as well as from St. Petersburg. Following the symposium, the audience walked to Rawson House, Brodsky’s former residence at Mount Holyoke, to view a photographic exhibition, Joseph Brodsky, Moments in a Life, with many of the pictures taken by Brodsky’s father, who was a professional photographer in Russia. With the assistance of the U.S. Embassy, the Kultura channel of the Russian TV Rossiya recently broadcast a short documentary about Brodsky’s life in New York (available in Russian on the station’s website). 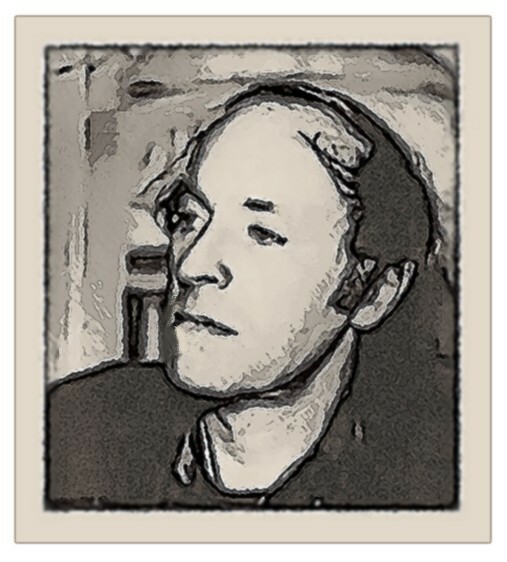 Joseph Brodsky sustained and exemplified the mysterious power of poetry both in the repressive Soviet culture from which he was exiled and in the permissive American culture to which he came. ... He will be remembered as one who lived and cared for language, who won a Nobel Prize for verse written primarily in Russian, and yet became over time both a master essayist and self-translated poet in the English language. Я буду стар, а ты - ты молода. на выцветшей и пропотевшей лямке. и, стало быть, в грядущем утвердится.